Charles of Austria (German: Karl von Österreich; 7 August 1590 – 28 December 1624), nicknamed the Posthumous, a member of the Imperial House of Habsburg, was Prince-Bishop of Wrocław (Breslau) from 1608, Prince-Bishop of Brixen from 1613, and Grand Master of the Teutonic Order from 1618 until his death. In 1621 he also received the Bohemian County of Kladsko as a fief from the hands of his brother, Emperor Ferdinand II. Born in Graz, Styria, Charles was the youngest son of Archduke Charles II of Austria (1540–1590), ruling over the Inner Austrian estates of the Habsburg Monarchy, and his consort Maria Anna (1551–1608), daughter of the Wittelsbach duke Albert V of Bavaria. 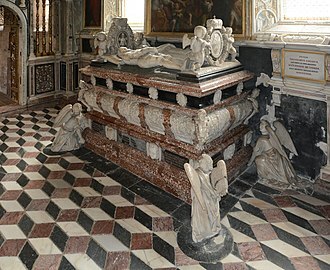 Born two months after his father's death, he was nicknamed "Charles the Posthumous" (Karl der Posthume). As the last of 15 siblings, Charles, like his brother Leopold V was destined for an ecclesiastical career. In 1602 he was appointed to a canonry of Salzburg Cathedral and in 1605 to a canonry of Passau. 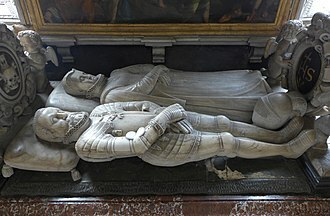 Further canonries in Trent and Brixen followed in 1606, and in Cologne Cathedral in 1618. These were for the most part absentee appointments that provided him with an income from ecclesiastical revenues. On 7 July 1608, at the age of 17, he was elected Prince-bishop at Breslau (Wrocław); he entered the city on December 14. In 1613 Charles also became Bishop of Brixen, however, he left the governance of the diocese to an administrator as he had chosen Neisse (Nysa) for his permanent residence. He did not receive holy orders until 1615, due to his young age. In 1619 he succeeded his cousin Archduke Maximilian III of Austria as Grand Master (Hochmeister) of the Teutonic Knights. Charles was a staunch Catholic. Upon his appointment as Breslau prince-bishop, he strongly protested against the 1609 Letter of Majesty, issued by his cousin Emperor Rudolf II to treat all religions equally in the Bohemian crown land of Silesia, and failed to succeed as a Silesian Landeshauptmann governor. 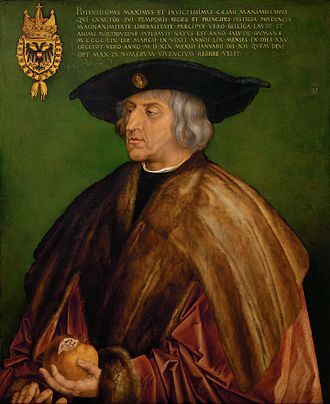 When after the outbreak of the Thirty Years' War in 1618 the Protestant Silesian estates rebelled and acknowledged Frederick V of the Palatinate as king, the prince-bishop fled to the Polish court of King Sigismund III Vasa and later moved to Brixen. After the 1620 Battle of White Mountain he returned to forcefully reintroduce Catholicism in his Duchy of Nysa. He founded a Jesuit college there in 1622. After he had received the Bohemian County of Kladsko from Emperor Ferdinand II in 1621, he had the area likewise occupied by Imperial troops and forcefully reverted to Catholicism. 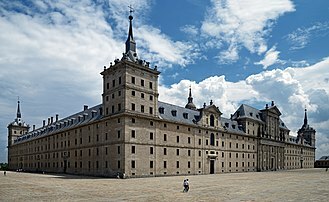 In 1624 he travelled to Madrid, at the request of his nephew King Philip IV of Spain, who planned to appoint him Viceroy of Portugal. However, he fell seriously ill and died in late December before taking up his post. 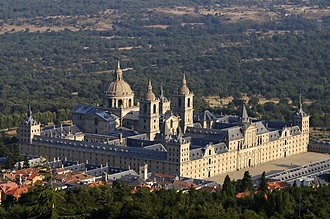 His mortal remains were buried in the Royal Site of San Lorenzo de El Escorial, while his heart was transferred to the newly erected St Mary's Jesuit Church in Nysa. ^ Matthias Schnettger, "Karl [III. ], Erzherzog von Österreich", in Biographisch-Bibliographisches Kirchenlexikon, vol. 17 (Bautz, Herzberg 2000), pp. 759–762. Brixen is a town in South Tyrol in northern Italy, located about 40 kilometres north of Bolzano. First mentioned in 901, Brixen is the third largest city and oldest town in the province, and it is located at the confluence of the Eisack and Rienz rivers,40 kilometres north of Bolzano and 45 kilometres south of the Brenner Pass, on the Italy-Austrian border. It is flanked on the side by the Plose and Telegraph mountains. Brixen is especially known as a skiing resort. Other activities include hydroelectric power and vineyards, the area of Brixen has been settled since the Upper Paleolithic. 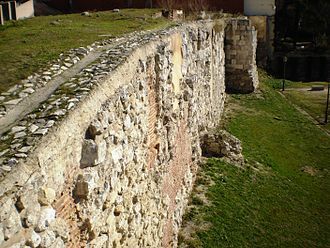 Other settlements from the late Stone Age have been found and in 15 BC, the area was conquered by the Romans and they held it until around 590, when it was occupied by Bavarians. The first mention of Brixen dates to 901 in a document issued by the King of Germany, Louis III the Child, in it a territory called Prihsna is assigned to Zacharias, as time passed, Prihsna turned into the current name of Brixen. The bishops moved here from Säben in 992, after the Cathedral had been finished, in 1039, the Bishop of Brixen, was elevated to Pope by emperor Henry III. However his reign lasted for only 23 days, yet in the same century, Brixen became the seat of an independent ecclesiastical principate which, in the following years, struggled for existence against the neighbouring county of Tyrol. In 1115, a first line of walls encircling Brixen was completed, the bishopric was secularized in 1803 and annexed by the Austrian Empire. Between 1851 and 1855, the Czech journalist and writer Karel Havlíček Borovský was exiled by the Austrian government to Brixen, after the end of World War I, Brixen was annexed by Italy. The oldest coat of arms dates back to 1297 with the lamb, on 13 November 1928, a shield with the city walls and a gate on the lawn in the upper half and the lamb in the lower was adopted. The emblem is a turned argent lamb with an or halo on a gules background, the emblem was granted in 1966. The Cathedral, was rebuilt in the 13th century and again in 1745–54 along Baroque lines, the ceiling of the nave has a large fresco by Paul Troger portraying the Adoration of the Lamb. Until 1933 the term was used in Prussia for the head of government of a province, in the modern-day states of Germany the counterpart to Landeshauptmann is here the Ministerpräsident. The Imperial-Royal government in Vienna was represented by a Statthalter or Landespräsident governor, the 1920 constitution of the First Austrian Republic unified the office of a Federal Government representative and head of the state government. The title is used in modern Austria as well as in South Tyrol and Trentino, autonomous provinces in Italy with strong linguistic. In the Czech Republic, a hejtman represents each of the 13 self-governing regions, the title was used by the German Empire for governors during the early stages of its colonial rule over German South-West Africa and German New Guinea. In modern Austria, the title is used for the head of the executive of the nine Austrian states, the Landeshauptmann is elected by the Landtag state parliament of the respective state and sworn in by the President of Austria. As representative of the state on state level he is responsible for the enforcement of federal laws. The Mayor of Vienna serves as a Landeshauptmann, elected by the municipal assembly, the head of government of South Tyrol is elected by the provincial Landtag legislature. The Landeshauptmann represents the province to the outside and in meetings of the regions with the Italian government and he is entitled to attend the sessions of the Council of Ministers as far as South Tyrolean issues are discussed. His two deputies have to represent the Italian and German language group, from 1875 the territorial authority of the estates in the twelve administrative provinces of Prussia were re-organised as Provinzialverbände. Each of these bodies were represented in a Provinziallandtag assembly, whose members were delegated by the rural. The provincial administration was headed by a Landesdirektor, who was elected by the assembly for six-year terms. The holder of the office presided over the Provinzialausschuss, i.
Cologne Cathedral is a Roman Catholic cathedral in Cologne, Germany. It is the seat of the Archbishop of Cologne and of the administration of the Archdiocese of Cologne and it is a renowned monument of German Catholicism and Gothic architecture and was declared a World Heritage Site in 1996. It is Germanys most visited landmark, attracting an average of 20,000 people a day, construction of Cologne Cathedral commenced in 1248 and was halted in 1473, leaving it unfinished. Work restarted in the 19th century and was completed, to the original plan, the cathedral is the largest Gothic church in Northern Europe and has the second-tallest spires. The towers for its two huge spires give the cathedral the largest façade of any church in the world, the choir has the largest height to width ratio,3.6,1, of any medieval church. Colognes medieval builders had planned a structure to house the reliquary of the Three Kings. When construction began on the present Cologne Cathedral in 1248, the site had already occupied by several previous structures. The earliest may have been for storage, and possibly was succeeded by a Roman temple built by Mercurius Augustus. A free-standing baptistery dating the 6th century was located at the east end of the present cathedral, only ruins of the baptistery and the octagonal baptismal font remain today. The second church, called the Old Cathedral, was completed in 818 and it was destroyed by fire on 30 April 1248, during demolition work to prepare for a new cathedral. The relics have great significance and drew pilgrims from all over Christendom. 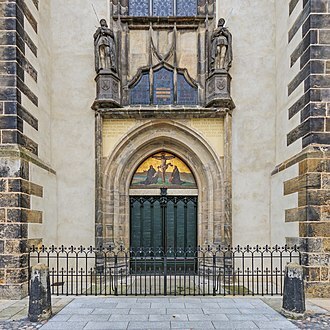 It was important to church officials that they be properly housed, the foundation stone was laid on 15 August 1248, by Archbishop Konrad von Hochstaden. 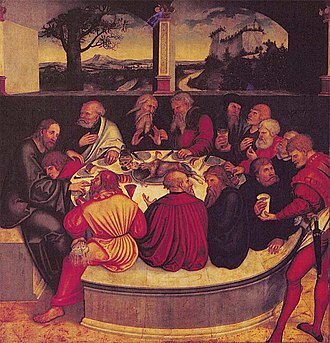 The eastern arm was completed under the direction of Master Gerhard, was consecrated in 1322, eighty four misericords in the choir date from this building phase. In the mid 14th century work on the west front commenced under Master Michael and this work halted in 1473, leaving the south tower complete up to the belfry level and crowned with a huge crane that remained in place as a landmark of the Cologne skyline for 400 years. The County of Kladsko was a historical administrative unit within Bohemia as a part of the Kingdom of Bohemia and in the Kingdom of Prussia with its capital at Kłodzko on the Nysa river. 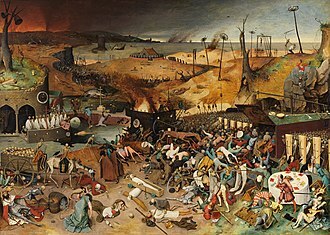 The area has been populated at least since the 1st century BC, the earliest mention of the town itself is in the 12th century Chronica Boëmorum by Cosmas of Prague. He mentions the town of Cladzco as belonging to the Bohemian nobleman Slavník in 981, father of Bishop Adalbert of Prague, in turn the Bohemian prince Soběslav I campaigned Kladsko and burnt the town to the ground, but rebuilt it shortly afterwards. He rebuilt and strengthened the castle located on a rock overlooking the town. 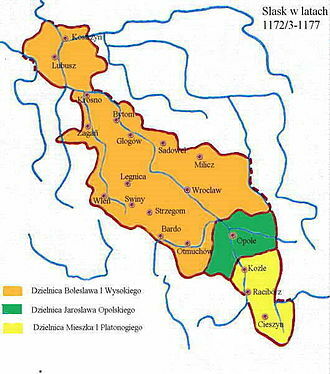 In 1137 by the agency of Emperor Lothair III of Supplinburg the rivals finally concluded a treaty by which Bolesław ceded all claims to the land of Kladsko to Soběslav. In 1348 the Provincia Glacensis became – still as a region within the Bohemia proper – part of the Crown of Bohemia. 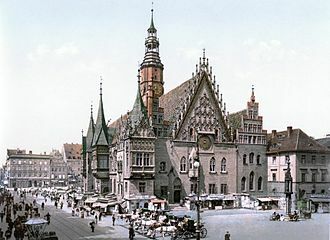 The town developed rapidly until the start of the Hussite Wars in the 15th century, which left Kladsko depopulated by plagues, partially burnt and it was not until the 16th century that the local economy began to recover from the previous wars. Under his Poděbrad successors it still remained a part of Bohemia as an outer region south of the adjacent Silesian province. Since 1549 the County of Kladsko was under administration of the Wittelsbach until Albert V, in 1617 the first census was organised in the County. 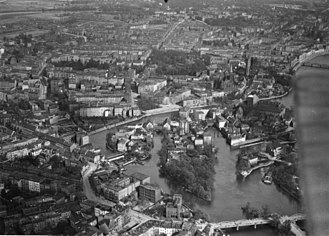 The city itself had approximately 1,300 houses and over 7,000 inhabitants, two years after the census took place the Thirty Years War started. 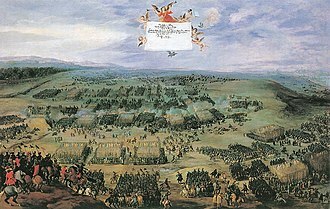 Kladsko had joined the Protestant Bohemian Estates and even after the defeat at the Battle of White Mountain in 1620 rejected to submit to Emperor Ferdinand II of Habsburg, after the war the Habsburg rulers put an end to all local self-government, and the County existed in name only. 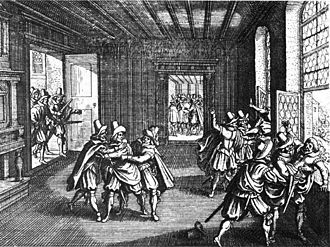 It was therefore occupied by Prussian troops and by the 1742 Treaty of Breslau annexed by the Kingdom of Prussia, the title of a Count of Glatz was part of the full title of the Prussian kings and German Emperors, but autonomy of the County was irretrievably lost. After World War I the Czechoslovak state laid claims to the region of Kladsko, particularly because of the Czech Corner where Czech language and these territorial demands were flatly rejected however by the 1919 Treaty of Versailles. 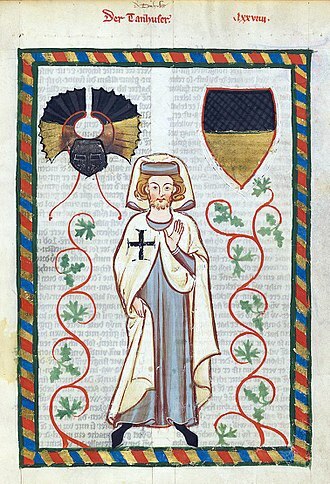 Hermann von Salza, fourth Grand Master of the Teutonic Knights, in a Baroque-era portrait.